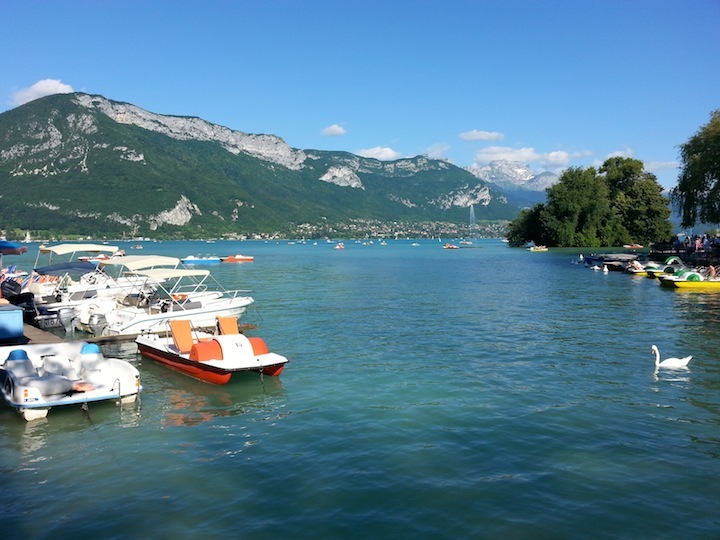 After nearly 20 hours of travel we arrived safely - but tired - in Annecy, France. 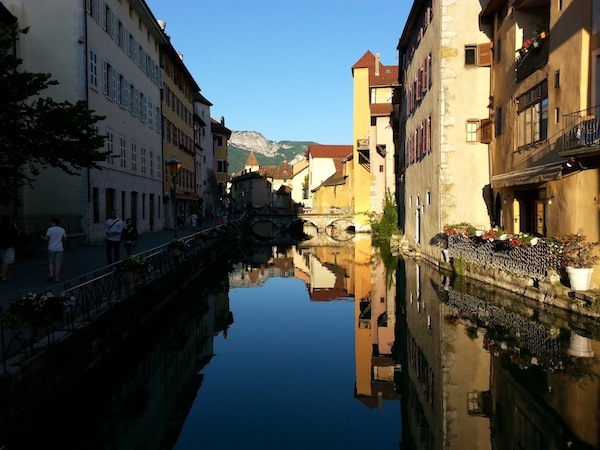 This is a beautiful medieval town on the shores of Lake Annecy, with the Alps beyond. After a late lunch at L'Abbey on one of the many pedestrian streets we explored the town, including it's many beautiful canals, and met up with our friends Patrick and Phillippe. Tomorrow we'll ride some of the local cols (mountain passes) as a warm up to much longer and more difficult rides later in the week.